Designers, producers, publishers, and everyone else in the business of making video games have to sometimes long for the days before the Internet was a fundamental part of every day life and business. It was more difficult to get your game out in the world, more difficult to collaborate on new ideas, and more difficult to understand precisely what goes into making a video game in the days before a quick glance at Google could offer you all the information in the world. Still, it must have been nice to not hear the thousands of voices calling your game crap every ten minutes. Every garbled, snaggle-toothed YouTube comment has got to take a toll on even the most handsomely compensated executive. In the wake of E3 2012, there has been a greater than usual amount of grumbling from the peanut gallery. Deservedly so in some cases. Many publishers showed off games that went too far into the realms of voyeuristic violence for the tastes of many, while others let down fans by not offering enough new content for existing game platforms. Fans let their voices be heard and apparently the frustration born of trying to satisfy such a vocal base is wearing some industry figures down. After getting blasted by fans on Twitter for not using fighter voices from classic entries in Tekken Tag Tournament 2, Tekken producer Katsuhiro Harada posted a long message online in retaliation to disgruntled fans. “I have something I want to say to the people who spam me with requests to ‘switch back (or bring back) to the voice actors used previously.’ I believe that, before whining and complaining about everything, you need to practice at taking a step back and analyzing things objectively. And also at being an adult.” Harada then goes into painstaking detail as to why using nearly 2 decade-old assets for the series. 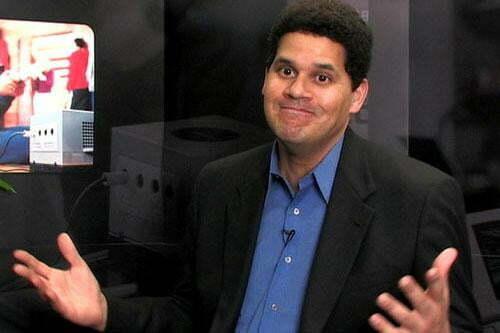 Meanwhile, Nintendo of America president Reggie Fils-Aime, a man in charge of marketing and corporate operations not game creation, has had it with fans yelling about what Nintendo should and shouldn’t be. Speaking with Kotaku’s Stephen Totilo at E3 2012, Fils-Aime said it’s exhausting trying to give people what they want. Make no mistake: It’s an overwhelmingly good thing that fans and creators can directly speak to one another. These comments however illuminate something that needs to change: People need to calm down. Don’t post vitriolic screeds on the Internet complaining about video games. Speak with a clear voice. Don’t curse people out. Don’t complain like these people owe you something. Don’t like their games? Don’t play them.